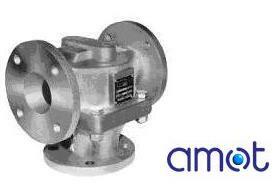 AMOT is a manufacturer of quality components for marine rotating machinery since 1948, when they invented the industrial thermostatic valve – which has since become the accepted standard. AMOT products are still breaking new ground in temperature and pressure sensing and control. AMOT offers the total engine solution for a wide range of industries, including marine, processing and water treatment.